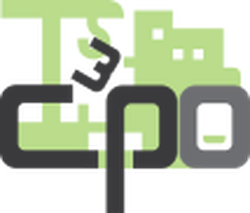 C³PO aims at providing a Cloud collaborative and semantic platform for city co-design. The C³PO platform is unique in that it covers the whole urban project development process where cities empower, encourage and guide different stakeholders (citizens, decision makers, architects, etc.) to develop an urban project together. C³PO does not intend to replace or modify the existing applications offering unique but partial solutions of city co-design (simulation tool, open API, 3D modelling and visualisation, gaming tool, etc.) but can be seen as an open and generic intermediary that enables the interaction between existing applications through a unique multi-dimensional semantic repository (covering the different types of information in city codesign like GIS, BIM, electricity grids, traffic, etc.). As such, C³PO will enable the capitalisation of existing applications and data sources by enabling their integration as services, or by enabling them to exploit the C³PO Open API.